Conestoga Canadian Dressage Owners and Riders Association (CADORA) is a not-for-profit organization dedicated to the development of dressage in Canada. They strive to nurture an interest and understanding among horseman and various disciplines and the public in the harmony and beauty of dressage. 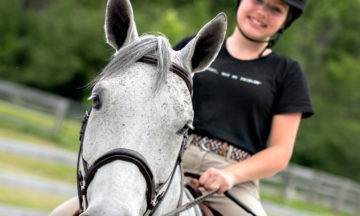 Through fund raising and donations, Conestoga CADORA has the ability to host four bronze level dressage shows as well as hold clinics and host speakers.